Quality personal development pages for the people who are looking to live better lives. For those who seek happiness, success, love, health, and spirit! Learn how to make a six to seven figure passive income stream from home with ionized alkaline water! Continue reading "How to Make Passive Income from Home with Ionized Alkaline Water"
What do fitness professionals say about ionized alkaline water? Watch some top level athletes, sports nutritionists and fitness experts discuss ionized alkaline water. Continue reading "What Do Fitness Professionals Say About Ionized Alkaline Water"
What Do Celebrities Say About Ionized Alkaline Water? What do celebrities say about ionized alkaline water? Watch some of your favorite celebrities discuss ionized alkaline water. Continue reading "What Do Celebrities Say About Ionized Alkaline Water?" Learn about the benefits of alkaline water and how to have unlimited alkaline water at your home or business! Continue reading "Ionized Alkaline Water"
What do doctors say about ionized alkaline water? Watch videos of world renowned doctors share their thoughts and experiences. Continue reading "What Do Doctors Say About Ionized Alkaline Water"
Tori and I went to a 3 day seminar called Millionaire Mind Intensive and learned "the easiest and most effective money management system". The Jars! Continue reading "Millionaire Mind Intensive: The Jars"
Watch an entrepreneur journey progress and grow with plenty of tips and how-to's along the way! Reading and learning is a major key part of any entrepreneur journey, and is important for all aspects of life outside of business as well. I've been reading Millionaire Success Habits by Dean Graziosi, and wanted to share some of the awesome tips I've learned in it so far! Continue reading "Entrepreneur Journey #15 - Reading Personal Growth"
Following a day in the life of our entrepreneur journey, I prepare some FREE samples to ship out across the country! If you would like some samples as well, reach out and I'll send you some for free, just cover shipping! Continue reading "Entrepreneur Journey #14 - Shipping Free Samples"
Reach out if you'd like any incense, crystals or tapestries for a really cheap price and we can ship it out to you! Once these are gone, they are gone! The entrepreneur journey. Continue reading "Entrepreneur Journey #13 - All Products on Huge Discount"
Continue reading "Entrepreneur Journey #12 - Vending in Atlantic City"
On our entrepreneur journey, Tori and I help two new families to get their units and improve their health and wealth forever! Watch to know EXACTLY how I made these sales and a very powerful tip for attracting amazing surprise situations! Continue reading "Entrepreneur Journey #11 - Two New Sales"
Woke up before the sun, but what a productive day it was! The entrepreneur journey. Continue reading "Entrepreneur Journey #10 - Too Early For This"
Great people, big checks, and good times on the entrepreneur journey at this year's East Coast Extravaganza! Get a little taste on the inside and hear some major key tips to building your business BIG! Continue reading "Entrepreneur Journey #9 - East Coast Extravaganza"
Having fun on the entrepreneur journey while designing a finance sheet to show people how simple and affordable it is to start your own business too! Continue reading "Entrepreneur Journey #8 - Half Work Half Party"
Teaching how to do an easy water share for your entrepreneur journey. For your own personalized bottle labels, contact me for a free sample. Continue reading "Entrepreneur Journey #7 - Water Share"
Tori and I hike down part of the Batona Trail and discuss cryptocurrency tips and updates on our entrepreneur journey. Continue reading "Entrepreneur Journey #6 - Batona Trail"
Happy Earth Day! Here are a few simple yet important tips that we can do to help our environment, help our entrepreneur journey and be more eco-friendly! Continue reading "Entrepreneur Journey #5 - Earth Day"
Another major perk of the entrepreneur journey and lifestyle is not needing to call out of work when you want to and not worrying about getting fired.. cause who's gonna fire you?! Happy 420! Continue reading "Entrepreneur Journey #4 - 420 Wedding"
It's been just about one year since I started the entrepreneur journey. 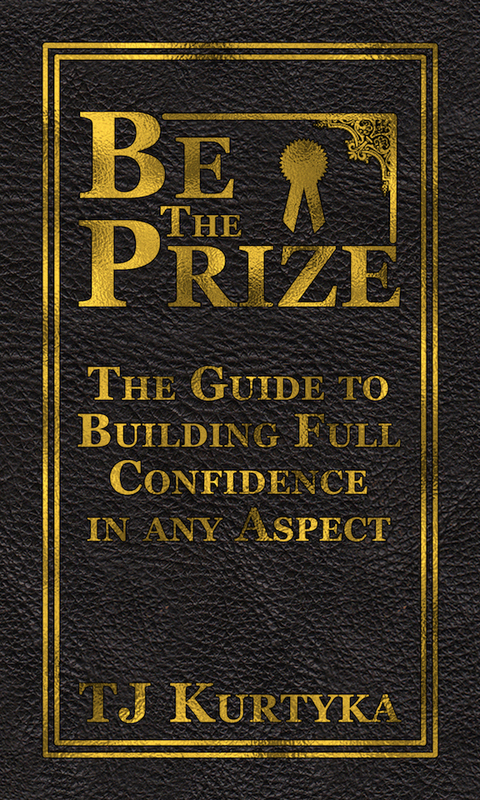 After listening to Building an Empire on audiobook, I was inspired to document the journey. Not only to show the progress and the process, but to help those who are also taking the entrepreneurial path. Continue reading "Entrepreneur Journey Part 1 - The Intro"
Success Team Training Videos. 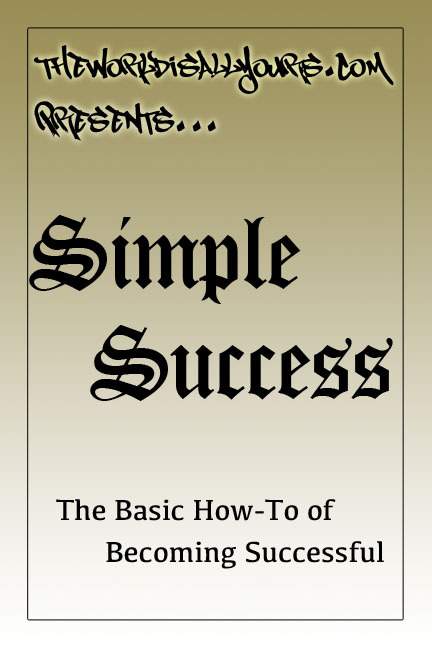 Straight forward and to the point videos on how to be successful with your business! Continue reading "Success Team Training"
The crown chakra is our seventh main chakra. It strongly relates to spirituality and our connection to the universe. 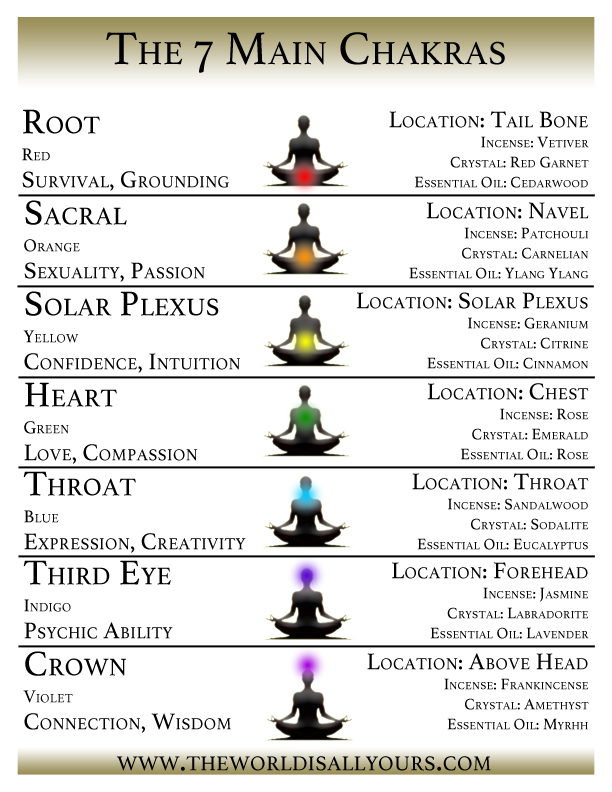 Learn more about the crown chakra and how to open yours here! Continue reading "Crown Chakra Meditation"
The World Is All Yours Shop holds products based around bettering your life and the lives around. Continue reading "The World Is All Yours Shop"
Continue reading "Living Life to the Fullest is the Rule of any World"
Continue reading "♦You Must Break The Rules In Order To Outdo Them♦"
Continue reading "Law of Attraction for a New Keyboard and Drum Pad"
Law of attraction success stories submitted by real visitors! Have you had success with the law of attraction? Share your story here and be featured, or read and vote on other stories! Continue reading "Law of Attraction Success Stories"
Access to all of the law of attraction 30 day challenge pages. Continue reading "Law of Attraction 30 Day Challenge Index"
This is Day 9 of the Law of Attraction 30 Day Challenge. Sometimes we have to give ourselves some time alone to change our vibration. Find out how and why here! Continue reading "Law of Attraction 30 Day Challenge Day 9"
Welcome to Day 8 of the Law of Attraction 30 Day Challenge! Today is about improving your luck. Continue reading "Law of Attraction 30 Day Challenge Day 8"
Welcome to Day 7 of the Law of Attraction Challenge! We've learned a lot about how to manifest, so when will it come? Today is about the time it takes to manifest! Continue reading "Law of Attraction 30 Day Challenge Day 7"
This is day 6 of the Law of Attraction 30 Day Challenge! We are now taking inspired action, but are we allowing our outcome to manifest? Today we learn how. Continue reading "Law of Attraction 30 Day Challenge Day 6"
This is day 5 of the Law of Attraction 30 Day Challenge! By now, you probably have already been attracting many opportunities. Are you taking the right action towards them? Find out how! Continue reading "Law of Attraction 30 Day Challenge Day 5"
Today is day 4 of the 30 Day Law of Attraction Challenge. Today is the day we visualize. Continue reading "Law of Attraction 30 Day Challenge Day 4"
This is day 3 of the Law of Attraction 30 Day Challenge! Today we learn about finding that gratefulness for what you are already receiving. Continue reading "Law of Attraction 30 Day Challenge Day 3"
Welcome to Day 30 of the Law of Attraction Challenge! We have done it! 30 full days! Look inside to learn all you need! Continue reading "Law of Attraction Challenge Day 30"
Welcome to Day 29 of the law of attraction challenge! Continue reading "Law of Attraction Challenge Day 29"
Welcome to Day 28 of the Law of Attraction Challenge! Sometimes we need to recognize that what we think are failures are just stepping stones to success. Continue reading "Law of Attraction Challenge Day 28"
Day 27 of the Law of Attraction Challenge! When most people get interested in the law of attraction, they decide they want money. Today explains how we can manifest money with real life examples! Continue reading "Law of Attraction Challenge Day 27"
Welcome to Day 26 of the Law of Attraction Challenge! Yesterday was about removing toxic people from our lives. Today, we talk about attracting good ones! Continue reading "Law of Attraction Challenge Day 26"
Welcome to Day 25 of the Law of Attraction Challenge! It's great to be social, but what happens when someone is bringing you down? Today we talk about what we can do to fix that! Continue reading "Law of Attraction Challenge Day 25"
Welcome to Day 24 of the Law of Attraction Challenge! Today we learn how to remove anything that doesn't make us happy! Continue reading "Law of Attraction Challenge Day 24"
Welcome to Day 23 of the Law of Attraction Challenge! Today is about the power of positive thinking and how it can help the law of attraction work for us all! Continue reading "Law of Attraction Challenge Day 23"
Its Day 22 of the Law of Attraction Challenge! Today we learn about good vibes. How to have good vibes and how to give good vibes. Continue reading "Law of Attraction Challenge Day 22"
Continue reading "Law of Attraction Challenge Day 21"
Welcome to Day 20 of the Law of Attraction Challenge! We are 2/3 of the way through, so it is time to review all we have learned! Continue reading "Law of Attraction Challenge Day 20"
Welcome to Day 19 of the Law of Attraction Challenge! Today we learn about vision boards, how to make one and how to use it! Continue reading "Law of Attraction Challenge Day 19"
Welcome to Day 18 of the Law of Attraction Challenge! Today we learn about using items to assist our success with law of attraction. Continue reading "Law of Attraction Challenge Day 18"